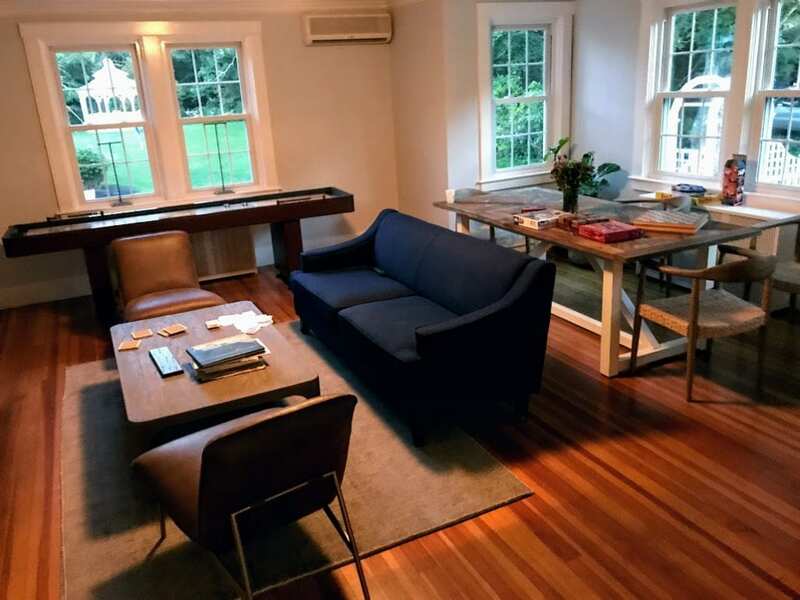 The Lambert’s Cove Inn, Farm & Restaurant in West Tisbury has new owners, Keya and John Cain. This young, dynamic couple is really mixing things up at the inn. 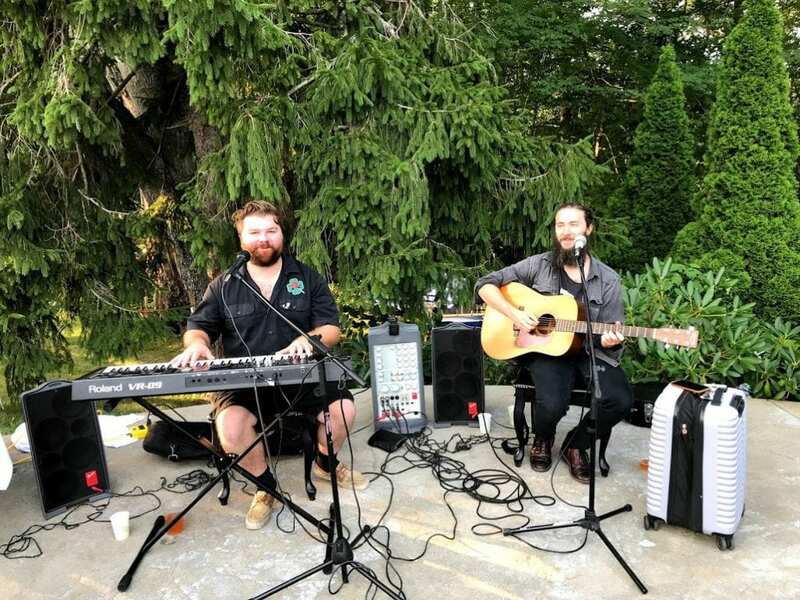 Over the Summer months, they have hosted a series of pop-up dinners with chef Gavin Smith, Wine and Oyster evenings, and are now hosting Poolside BBQ Concert Series on Tuesday nights in August. 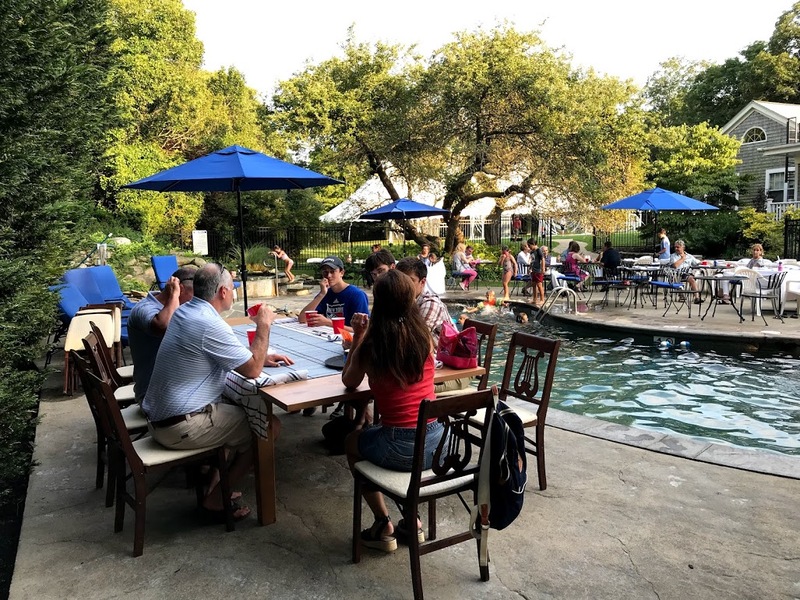 Pool, music, BBQ, all together in a gorgeous setting? You bet, and it’s pretty awesome. Driving to Lambert’s Cove Inn is a treat in itself. The road leading to the inn is lined with large, old growth trees. It almost makes you feel like you’re driving to Maine. When you come to the inn, it’s warm and welcoming. Walking through, it’s fun to check out the inn’s store, where you can find some really great things. It’s also fun to see all the changes the Cains have made. The inn definitely has a different vibe to it. As you walk through the doors to the outside pool area, you are greeted by the smell of BBQ, live music, twinkly lights, and what I can only describe as a “Vineyard” scene. The crowd is a mix of locals, inn guests, and people there for the event. We decided to venture to this outing with friends. 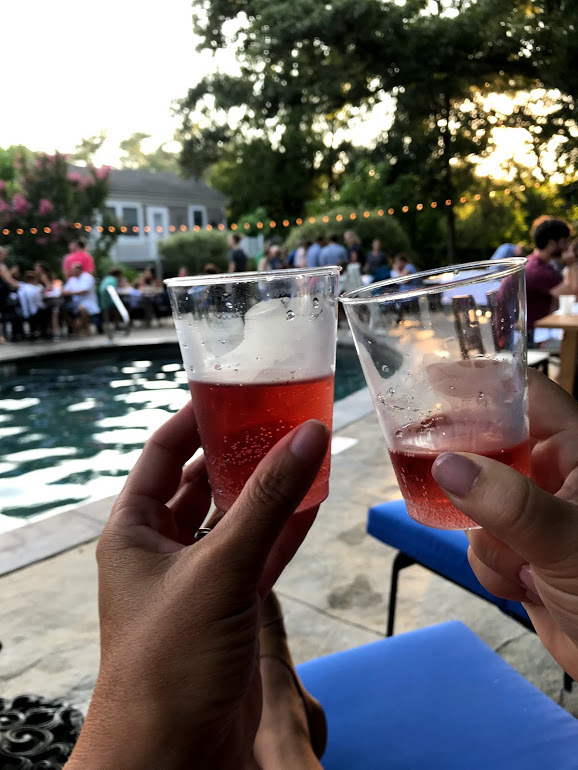 It’s every relaxed, and you feel like you’re on vacation for the evening — like you’re a guest there, but sadly you know that you need to pack it up and head back home. The pool area is lovely. We did bring swimsuits for the kiddos for the pool, though they certainly didn’t need to go into the pool. They could play lawn games, check out the alpaca, and more. However, it was definitely a bonus for them. 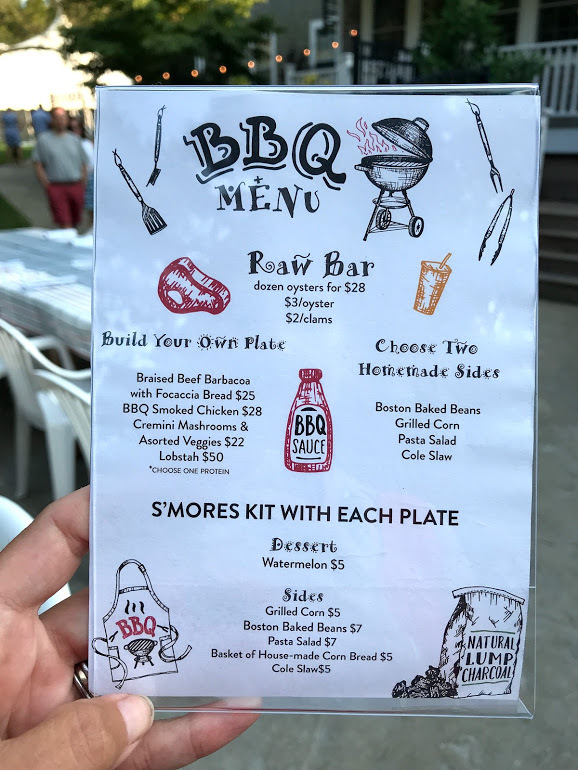 My friend and I got a table, reservations are recommended, set the kids up, and then went to order our BBQ. Though not on the menu at the table, there are options for kids, just ask. 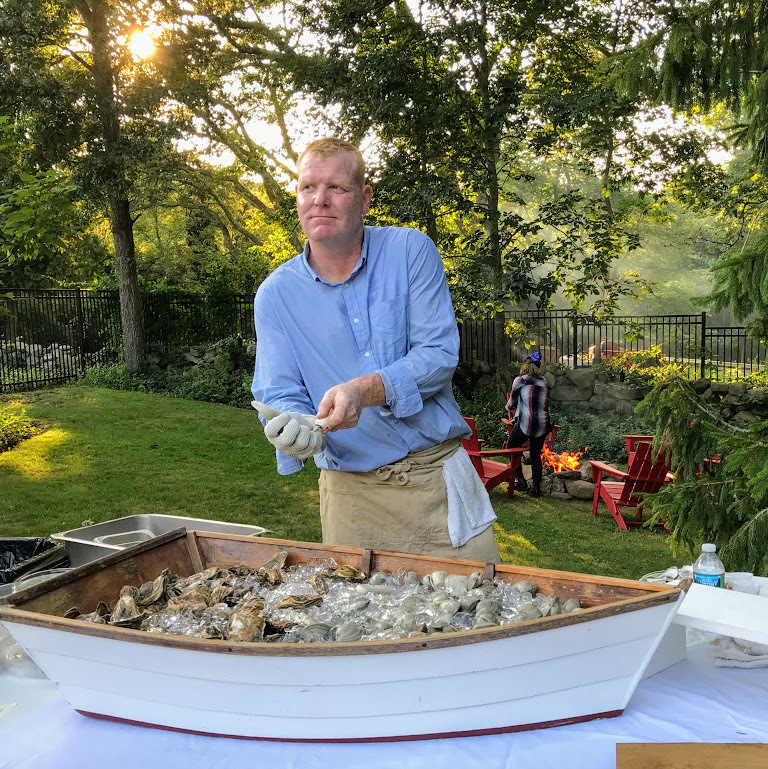 We got oysters from Austin Higgins, who was there shucking the Island’s beloved Sweetneck oysters, created our perfect BBQ dinner for us to share, and some beverages. You’ll find Bad Martha Beer, a selection of wine, and gluten free options to enjoy with your meal if you so choose. While we waited for the food, we sat by the pool, watched the kids playing, and listened to the music of Brothers McMahon. The evening was simply perfect at that moment. The sights, smells, and sounds, were all on point. It was truly a moment to savor. We then ate dinner which was delicious. 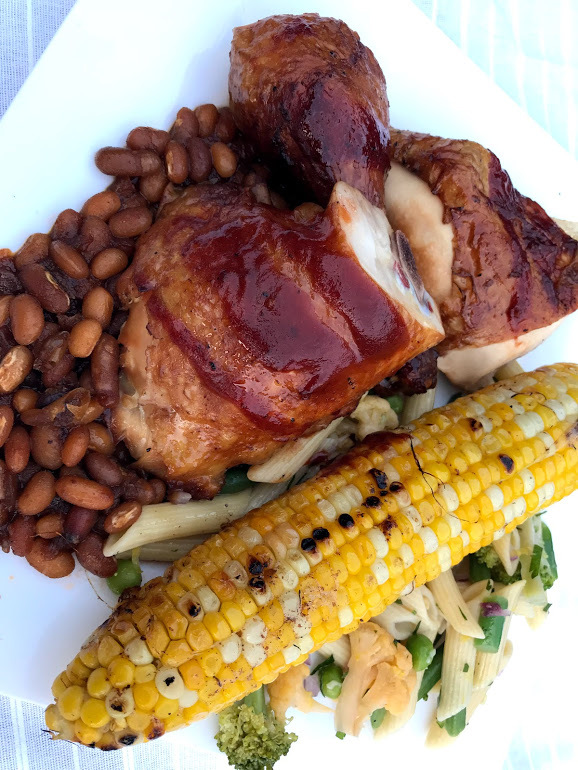 I love good, fresh BBQ during the Summer months, and the surrounding for this dinner were just so special. And the fun continued. 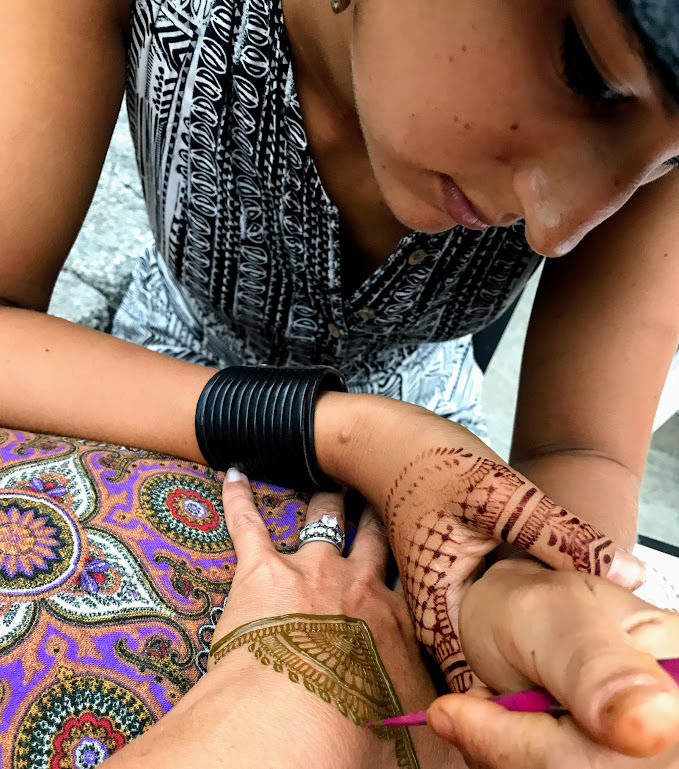 The Cains had arranged for Maple Mehndi (Bridgette Bartlett) to be there offering her henna services. 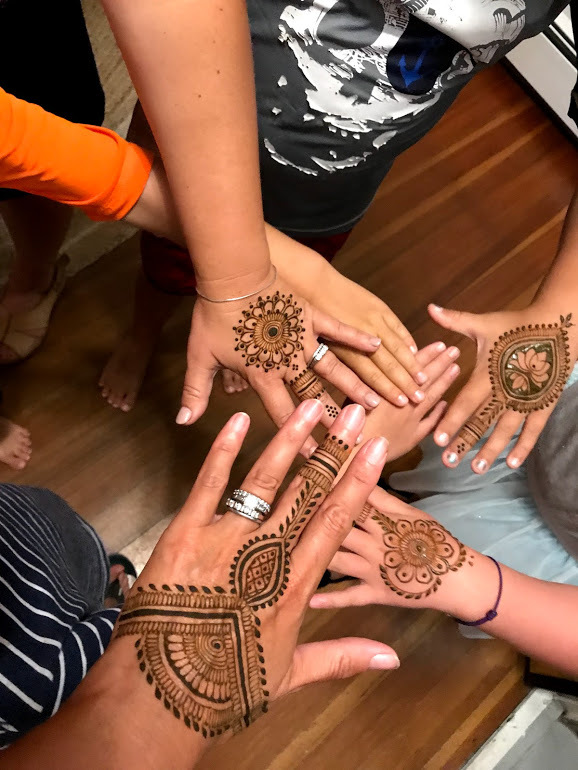 Getting henna from Maple Mehndi happened to be on my daughter’s Summer bucket list, and how excited was she to be able to cross that off, and after dinner with friends and pool fun! Maple is truly talented. Four out of 6 of us decided to get henna. It was my first time as well. Instead of choosing from her design book, I asked Bridgette to read my energy and create from that. Needless to say, I was really impressed with her design and her attention to detail. It was incredible to watch her work. She needs her own On Point blog! While some of us were getting henna, others were having s’mores at the fire pit. Included with your dinner purchase, was a s’more bar. Just when you thought it couldn’t get any better, we ended with s’mores! The whole evening was one for the books. A dining experience with the family and friends unlike any other. We felt so welcomed, and dare I say spoiled? 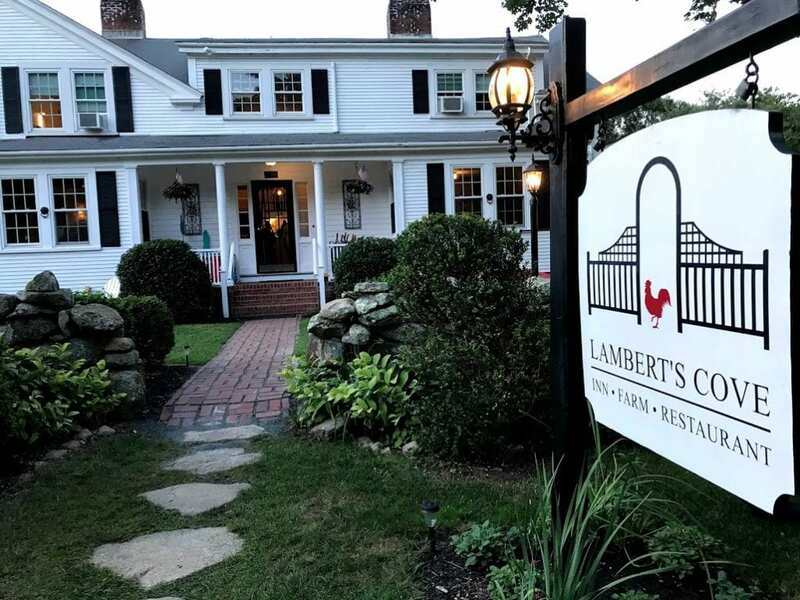 This event series at Lambert’s Cove Inn is one of my favorites from the Summer. I hope it makes a reappearance next year! 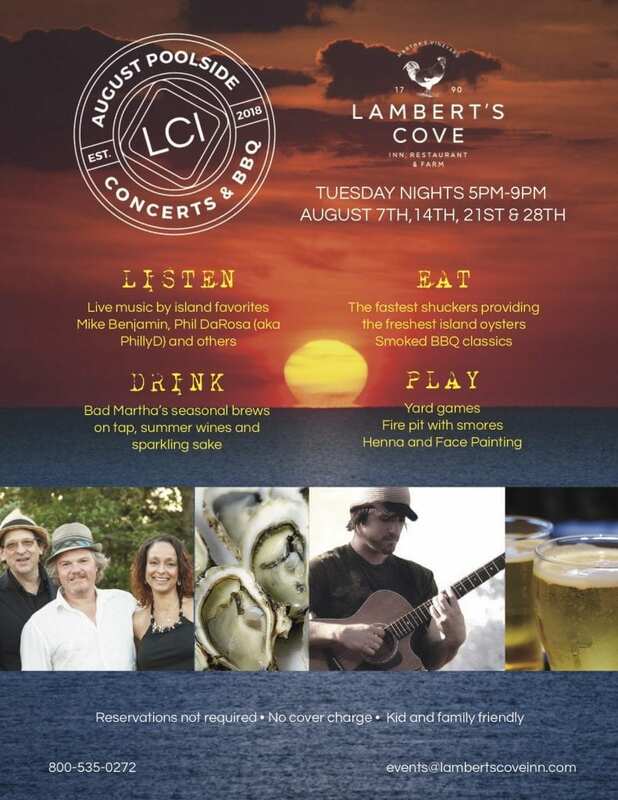 Looking forward to exploring what other fun events pop up at the new Lambert’s Cove Inn! 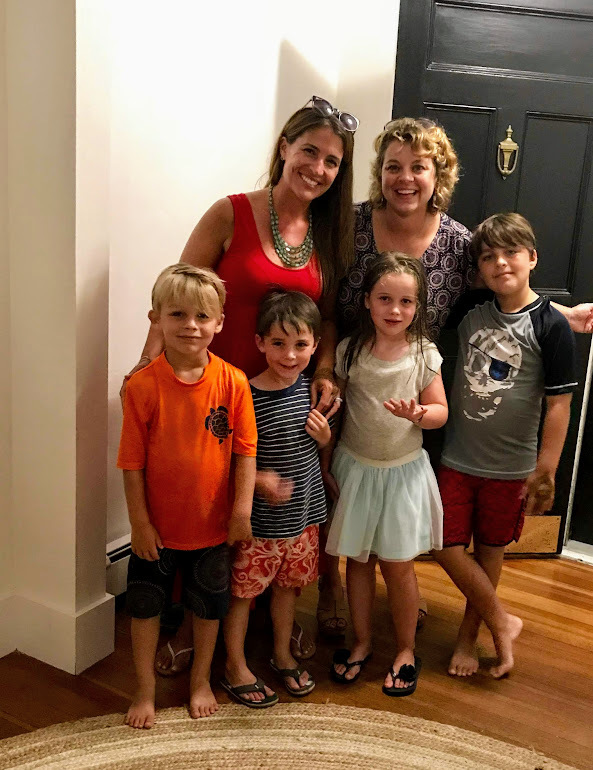 I should also mention the Lambert’s Cove Inn is now kid friendly, and don’t forget that there is an incredible restaurant on site, where popular island chef Joe DaSilva is serving up fresh, inspiring meals in the newly renovated dining room. Thanks for reading On Point MV. 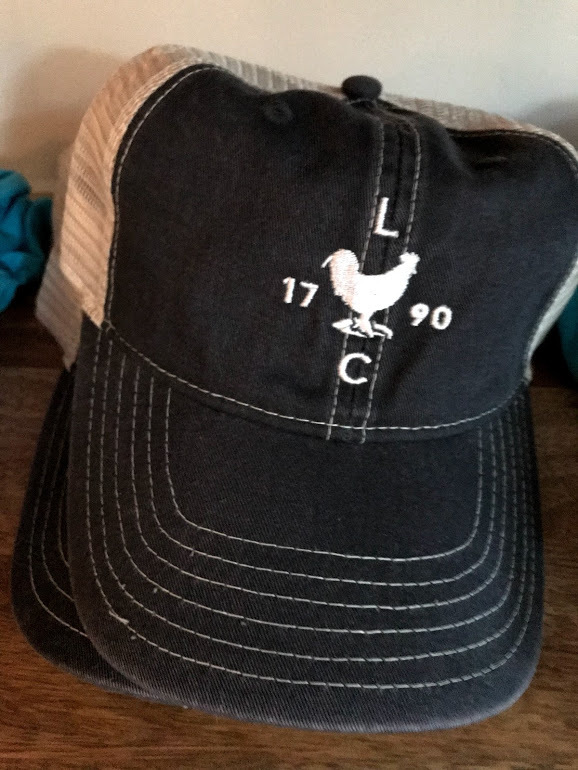 You can also learn more about Lambert’s Cove Inn, Farm & Restaurant on Facebook. Don’t forget to “Like” us on Facebook, and follow us on Twitter, Linked In, Google+, Pinterest, Youtubeand Instagram.